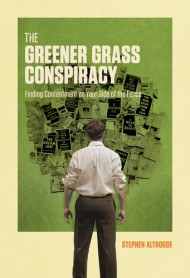 The Greener Grass Conspiracy: Finding Contentment on Your Side of the Fence by Stephen Altrogge. 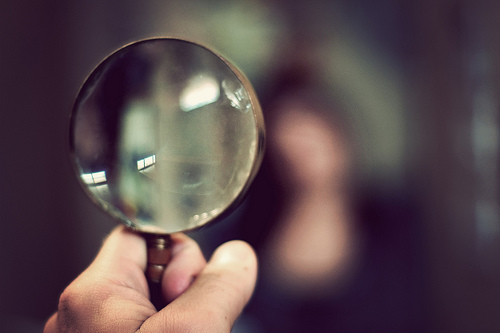 Its primary subject is finding contentment in Christ not circumstances. Click here to read more about the book and its author. I just saw this over at Pure Church by Thabiti Anyabwile. Read it slowly and prayerfully and joyfully! O look upon sin now as you must look upon it in eternity, and as God and conscience will present it to you! Consider that these very sins which Satan paints in virtue, also cost the blood of the Lord Jesus in sorrow and death. He who waved the sceptre of heaven was spit upon and nailed to the cross. Ah, how should it provoke our hearts to gain revenge on sin! Sin has murdered the Lord of glory. It was good counsel one gave: “Never let go out of your minds the thoughts of a crucified Christ.” Let this be meat and drink unto you; your sweetness and consolation, your honey and your desire, your reading and your meditation, your life, death, and resurrection. Works, 1:16-18; quoted in Richard Rushing (ed. ), Voices from the Past: Puritan Devotional Reading (Banner of Truth, 2009), p. 218. When our great Savior ate with Simon the Pharisee, and a sinful woman washed his feet with her tears and dried them with her hair, the Lord approved of her actions, assuring her of free and full pardon, and taught the proud Pharisee that all who have been forgiven much will love much in return, even as this woman had shown such love to him (Luke 7:36-50). For many pages now, we have been exploring the boundless dimensions of the surpassing love of Christ, and have glimpsed the staggering greatness of even the hinder parts of his free forgiveness and matchless grace. Everywhere we have turned, we have been dazzled by the further unfolding of new vistas of glory and grace in the love of the Savior, and if we have learned anything at all, it is only this, that an eternity will not suffice for us to discover all the riches we have treasured up for us. But having been so loved, dear Christian, and having received so free and immeasurable a pardon, how ought we to love in return? Will we not wet the beautiful, nail-scarred feet of the Lord with our own tears of wondering gratitude? If we have no tears for those feet of condescending love, which staggered to Golgotha bearing all our sin and shame, then we do not know the love of Christ. But all of us who have glimpsed such a love, let us cast ourselves down with our sister, this despised and sinful woman, and open up our own fountains of gratitude to bathe the feet of the Savior of the world! If we have been loved by the Lord, we will love in return; but if we love, how will our love be shown? What will it compel us to do? What must they who love the Savior do that is different from what they do who do not love him, but rather serve out of grudging fear or slavish duty? There are many ways by which true religion may be counterfeited by hypocrites, but the litmus test that cannot fail is sincere and overflowing love. It would therefore be to our advantage, before we leave this study, to consider in brief just what this responsive love to the Savior looks like, and how it is that we may know if we are showing ourselves to be sons of his love, and not just slaves of fear. (1) They who love the Savior long to be with him. (2) They who love the Savior long to please him. (3) They who love the Savior will strive to imitate him. Like what you read? See more at my blog! How do we become more like Christ? By beholding him. And we all, with unveiled face, beholding the glory of the Lord, are being transformed into the same image from one degree of glory to another. For this comes from the Lord who is the Spirit (2 CO 3.18). We become like the One we behold in the Word.